On July 15, Monadnock Buy Local officially launched its Placemaker Local Rewards crowdfunding campaign with The Local Crowd Monadnock (our region’s locally based crowdfunding platform). We're thrilled to report that in the first 2 days of the campaign we reached over 30% of our fundraising goal! To see where we’re at today, please visit our crowdfunding campaign page. 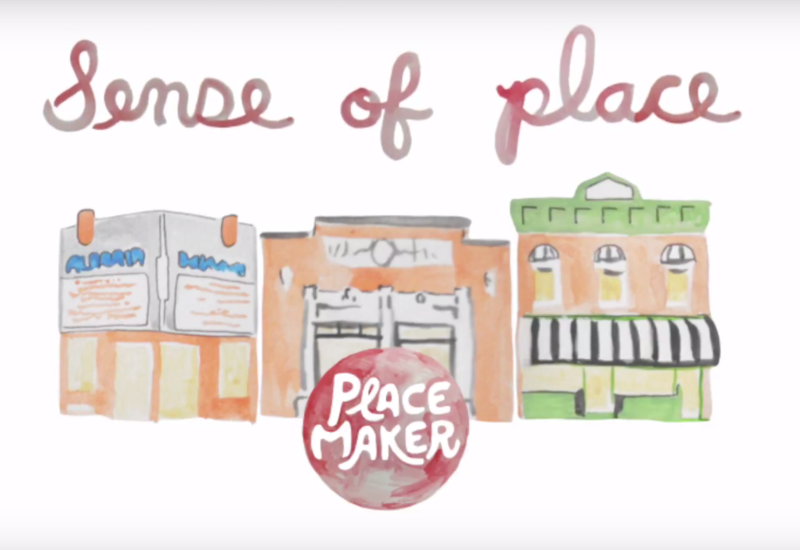 On the surface, Placemaker is an online loyalty platform that tracks purchases made at locally owned businesses and offers gifts and discounts to community members who spend their dollars locally. Dig deeper and you’ll discover that Placemaker is a powerful tool to inspire more community members to shop at locally owned businesses. 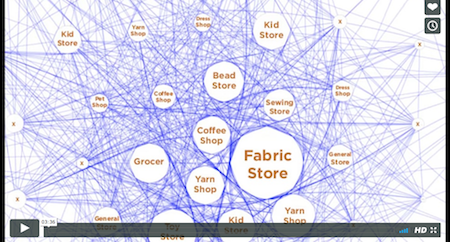 Placemaker can give us access to real data, while shoppers have fun. With this data, Monadnock Buy Local and other economic development organizations can monitor and demonstrate the true impact of our efforts on our local economy. Best of all, instead of independent businesses working to build customer loyalty on their own, they can band together through Placemaker and inspire more people to spend their dollars at locally owned businesses. Bringing Placemaker to our community requires a three-year commitment -- a really big investment for an organization like Monadnock Buy Local. If we can raise $5,000 from you -- our neighbors, friends and family -- it demonstrates our community’s support for Placemaker. These dollars will also allow us to lower participation costs for participating businesses. This program—started in Oregon by Katrina and Michael Scotto di Carlo—currently boasts a network of 150 independent businesses and 80,000 users who collectively shifted $8 million of their spending to locally owned businesses. 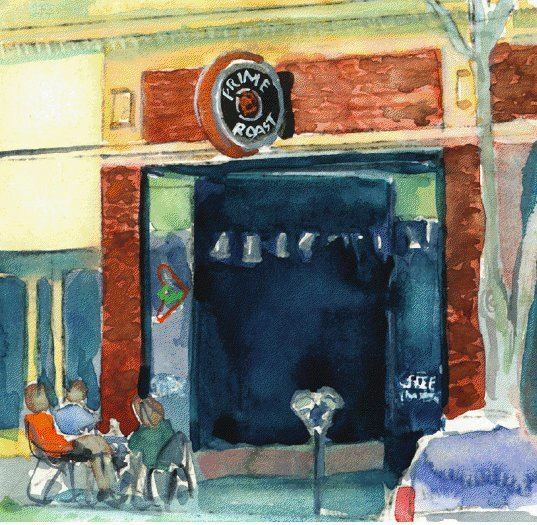 Placemaker was the couple’s response to watching their town’s Main Street businesses close -- a solution that drives revenue to businesses and engages citizens. When you shop at a Placemaker business that's new to you, you'd receive 20 Merits. Each time you come back to shop or get a service at that business, you’d earn 5 more Merits. You’d collect these Merits at each participating business by sharing your phone number or using the free Placemaker mobile app. Each participating business would then offer specific products or services that can be purchased with Placemaker Merits. You’d use your Merits to claim rewards on Placemaker's website or app. How much would it cost for community members to participate? Nothing. It's free! To make supporting our Placemaker campaign even sweeter, we’re offering special rewards to individuals who give at certain financial levels. 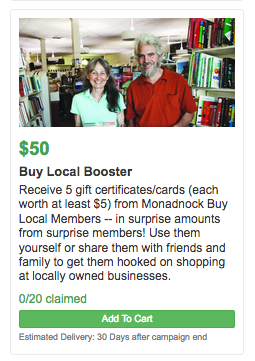 For example, for $50 a campaign supporter can choose the "Buy Local Booster" and receive 5 gift certificates from Monadnock Buy Local members -- in surprise amounts from surprise members. 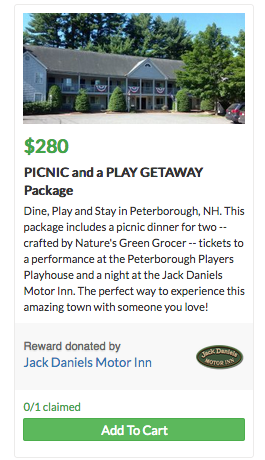 Another great perk: A number of Monadnock Buy Local Members donated fantastic rewards to show their support for our Placemaker Crowdfunding campaign -- and to thank supporters for contributing to our campaign. Browse these sponsored rewards along the right hand side of our campaign page -- catered lunches, social media support, drone videos and more! Claim a reward by adding it to your cart and then following the steps to complete your contribution. These rewards are limited -- so be sure to check them out today. Do you believe this is a good investment for our community? Then please support this program today. Offline donations are also accepted. Checks should be made out to Monadnock Buy Local (with Placemaker in the memo line) and mailed to The Local Crowd Monadnock, c/o Monadnock Buy Local, 63 Emerald Street PMB #114, Keene, NH 03431. Placemaker can make connections between community and our locally owned businesses more visible, while making the benefits of shopping locally even sweeter! We hoped to inspire at least 471 page views to our Placemaker Local Reward crowdfunding campaign by August 14... well, thanks to everyone's help spreading the word -- we had over 1,000 page views in our first week! Now, we need to re-engage those visitors over the next three weeks. Are you connected with a group interested in learning more about Placemaker? We'd love to share a short overview with your group -- just contact us today. Learn more on our campaign page (along the right) -- and share these great rewards with your contacts today! 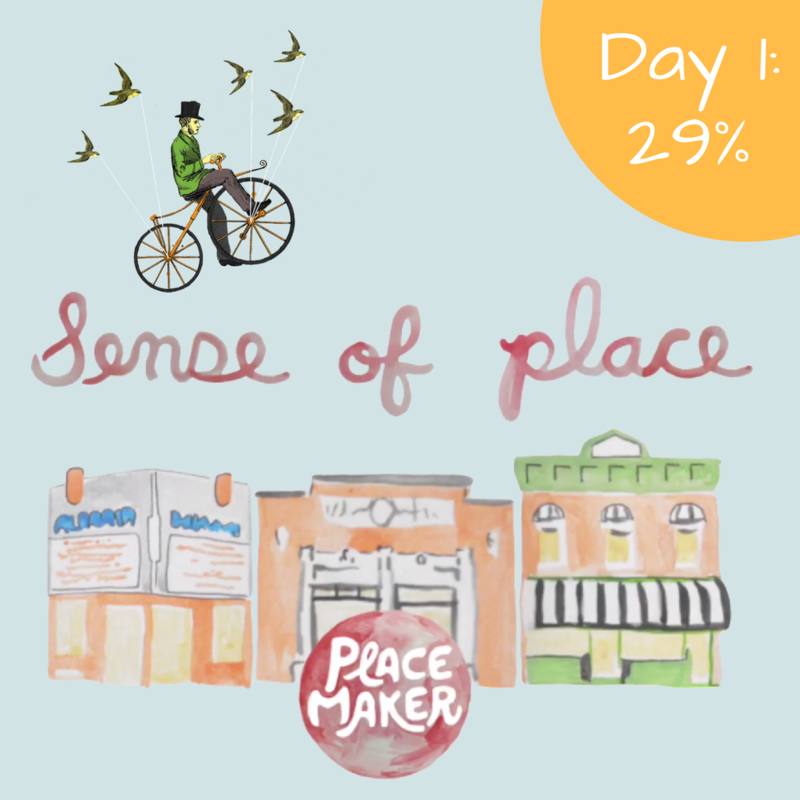 We publicly launched our Placemaker Crowdfunding campaign on July 15th -- and we're thrilled to share we raised 29% of our fundraising goal. 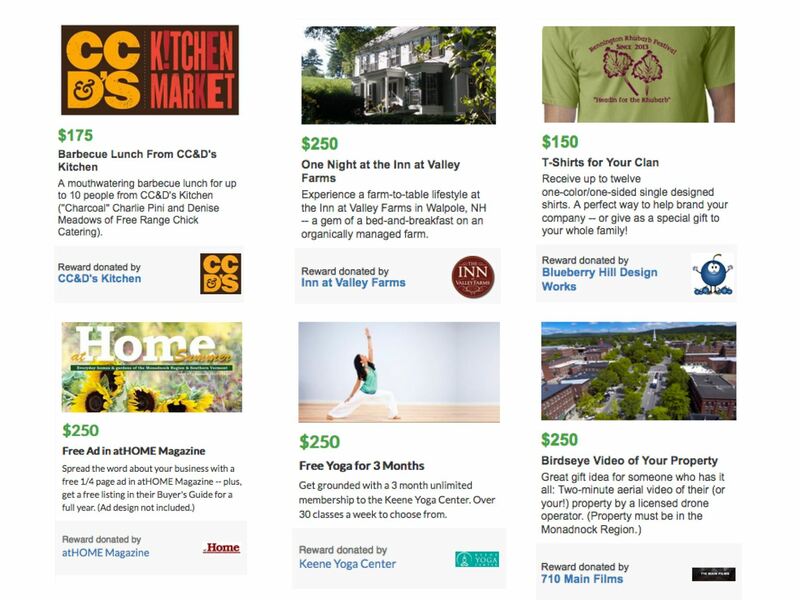 A number of Monadnock Buy Local Members donated fantastic rewards to support our Placemaker Crowdfunding campaign -- and to thank supporters for contributing to our campaign. These rewards are limited -- so be sure to check them out today! Browse these sponsored rewards along the right hand side of our campaign page. Claim a reward by adding it to your cart and then following the steps to complete your contribution. The Local Crowd (TLC) Monadnock will launch its third online crowdfunding campaign on Thursday, July 15, 2017 at noon focused on supporting independent retail: Monadnock Buy Local's "Placemaker Local Rewards" Program. RSVP to our online launch! 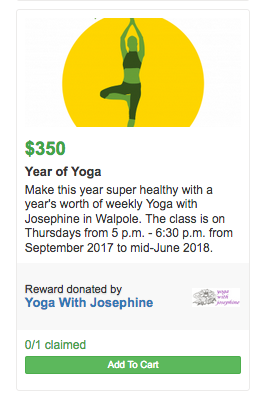 This campaign, based in Keene, is an effort to raise $5,000 needed to purchase a one-year subscription to Placemaker, an innovative online platform that tracks purchases made at participating locally owned businesses and offers gifts and discounts to users who spend their dollars locally. Instead of independent businesses working to build customer loyalty on their own, they can band together through Placemaker and inspire more people to spend their dollars at locally owned businesses. Also, Placemaker can provide real-time data that Monadnock Buy Local and other economic development organizations can use to measure their impacts and refine their efforts. "For years, Monadnock Buy Local searched for ways to demonstrate our true impact on our local economy. Are our efforts really making a difference?" said Jen Risley, Monadnock Buy Local Executive Director. "Enter Placemaker -- technology that can give us access to real data, while shoppers have fun!" 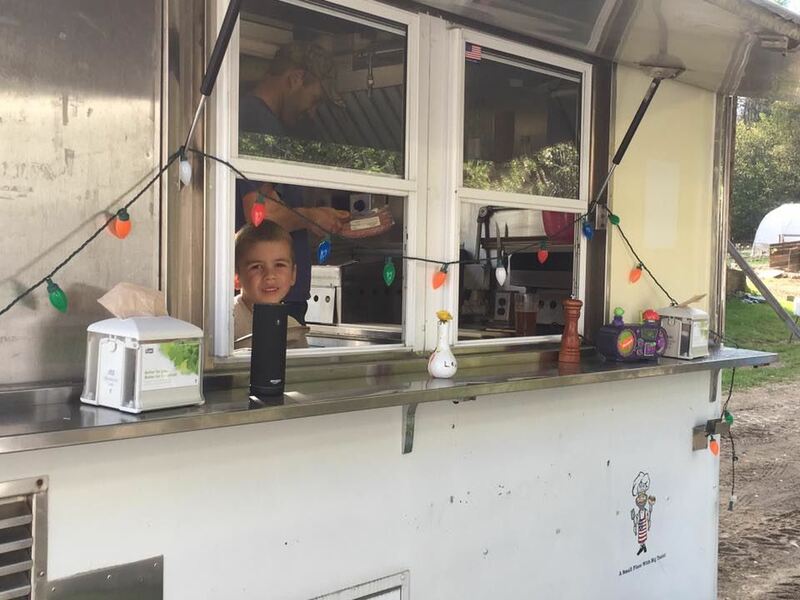 "How we work with other communities is that we have a local business association or Think Local campaign that we partner with -- and then they actually gain most of the revenue from the program," said Placemaker Cofounder, Katrina Scotto di Carlo. "We just facilitate a license of the technology, but it's really run locally wherever it goes. Most of the money stays local." This crowdfunding campaign will offer a limited number of rewards to individuals who give at certain financial levels. For example, for $50 a campaign supporter can choose the "Buy Local Booster" and receive 5 gift certificates from Monadnock Buy Local members -- in surprise amounts from surprise members. Individuals can contribute to this crowdfunding campaign regardless of where they live. Offline donations are also accepted. Checks should be made out to Monadnock Buy Local and mailed to The Local Crowd Monadnock, c/o Monadnock Buy Local, 63 Emerald Street PMB #114, Keene, NH 03431. Stay tuned -- and RSVP to our launch online to get updates! TLC Monadnock will select one accepted proposal to receive a free video, donated by 710 Main Films, to support their crowdfunding campaign. The Local Crowd Monadnock is about us -- our region, our community -- and the goals we've created around economic development and prosperity. Learn more about The Local Crowd Monadnock and our Request For Proposals. It's been quite a month since our Farm to Table on Wheels crowdfunding campaign closed. We found and acquired the perfect cart soon after the close and have been have been busy getting it ready for prime time. The past week we have been painstakingly scraping off old vinyl decals in preparation for an Archway Farm rebranding (and hanging some Christmas lights)! Saturday May 20th, 11-2: A "soft launch" at the Montessori Schoolhouse Yard Sale, where all proceeds will be donated to the school. Saturday May 27th, 11-2: Our "official launch" outside the Monadnock Food Co-op on Memorial Day weekend. We've caught up with many of you delivering sausage and other campaign rewards. 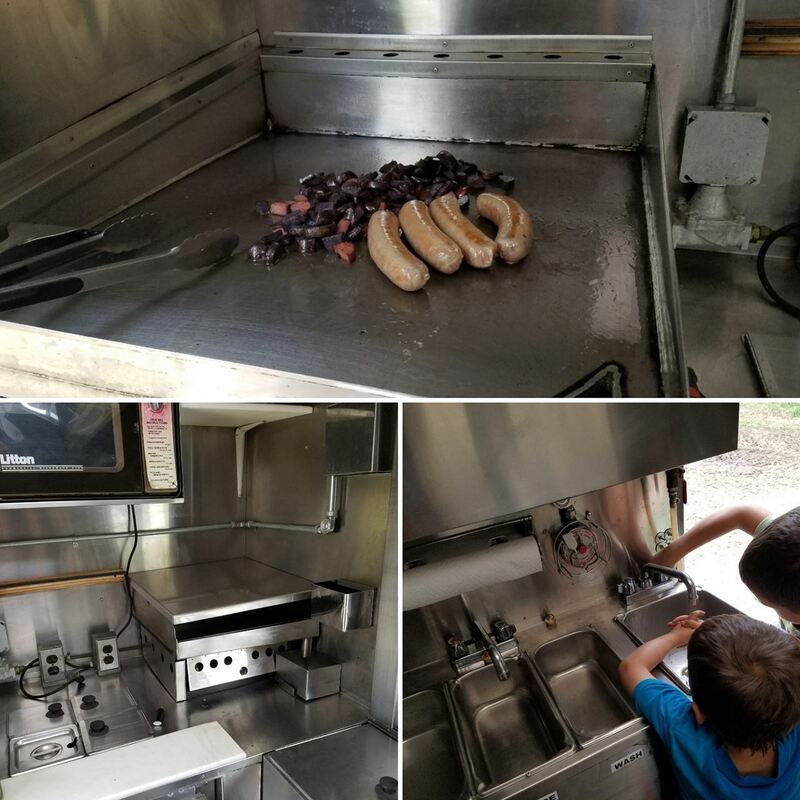 Our second round of sausage is here so we'll be sending out an update for that shortly, and look forward to our first of the scheduled farm tours coming up next weekend. If we have missed you for some reason please don't hesitate to reach out. Thanks again for all the support, we hope to see many of you at an event this summer! 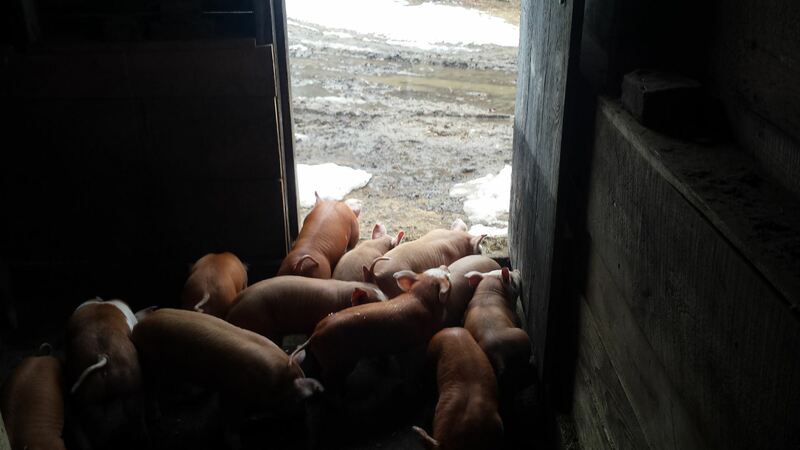 Archway Farm's Crowdfunding Update: We Made It! Our campaign closed on Saturday and we reached our goal! Prime Roast Coffee Company pushed us over the line by becoming a Campaign Hero hours before the deadline. We are truly grateful for all the support we have received from the community, family, and friends. Having Jen Risley and The Local Crowd Monadnock as well as Stonewall Farm as partners has been huge in helping us reach our goal. 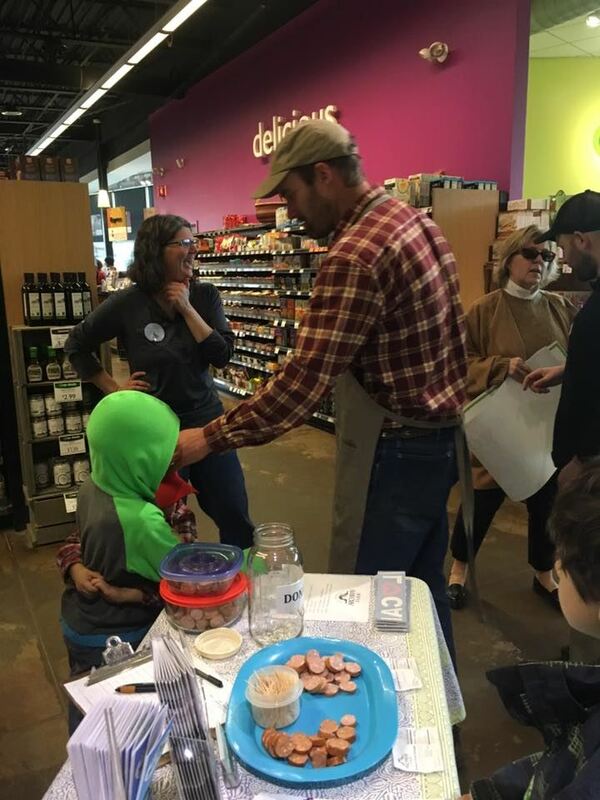 We had a great event at the Monadnock Food Co-op last Friday, it was great to talk to everyone about our campaign, and share some samples. We'll be back at the Co-op this coming Saturday, April 22nd as part of their Earth Festival, stop by and say hello if you are there. We will be reaching out this week to start fulfilling our campaign rewards. We are now in hot pursuit of a sausage cart, so that we can be up and operational for the spring sausage season. Stay tuned for more details. 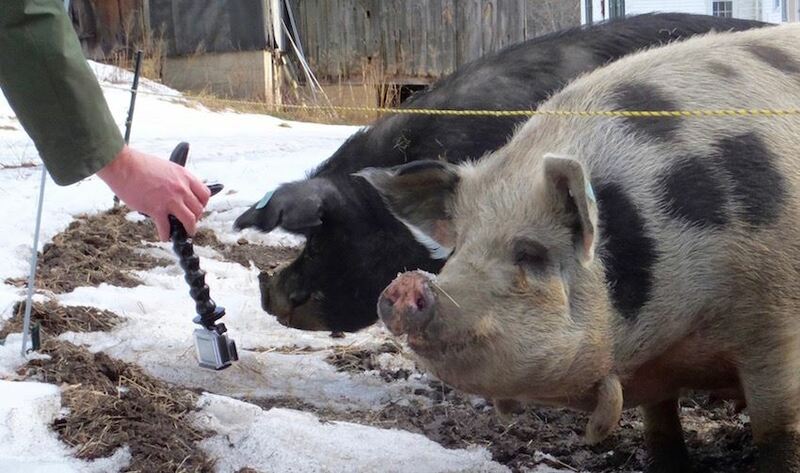 In just two weeks, the brand-new, local crowdfunding platform, The Local Crowd (TLC) Monadnock, helped raise more than $6,000 to support projects at two of Keene’s farms, Stonewall Farm and Archway Farm. For more information, visit monadnockbuylocal.wildapricot.org/tlc or follow TLC on Facebook at facebook.com/tlcmonadnock/ for updates. We're thrilled to share that Monadnock Buy Local recently received a $5,000 grant from the New Hampshire Charitable Foundation's Elting E. Morison Fund to support outreach efforts for The Local Crowd (TLC) Monadnock Project in Keene, Swanzey, Chesterfield, Hinsdale and Winchester, NH. TLC Monadnock is a locally based crowdfunding platform that empowers individuals to support the businesses, organizations and initiatives that grow wealthier and healthier communities in the region. This pilot project is a collaboration of regional economic development organizations including Southwest Region Planning Commission, Monadnock Buy Local, New Hampshire Small Business Development Center, Greater Keene Chamber of Commerce, Monadnock Economic Development Corporation and Hannah Grimes Center for Entrepreneurship. 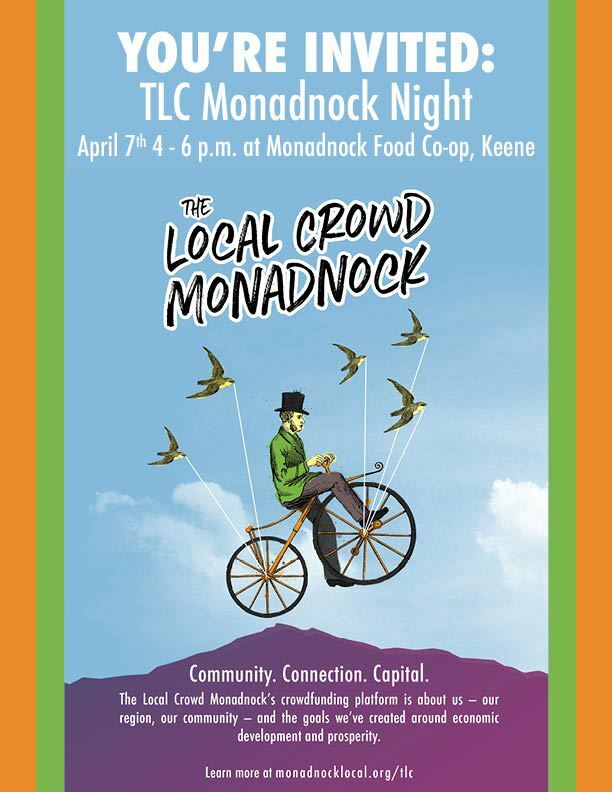 For more information, visit monadnocklocal.org/tlc or contact Monadnock Buy Local at 603-499-7950. Monadnock Buy Local (monadnocklocal.org) is a regional network of citizens, businesses and organizations that promotes the positive economic and community benefits of spending dollars locally, while supporting programs and policies that forward a local, green and fair economy. For more information, contact monadnockbuylocal@gmail.com.